The Chrysler Pacifica is at it again – Cars.com just announced that the 2019 Chrysler Pacifica is once again its ‘Family Car of the Year.’ Building on the Pacifica’s first award (Cars.com’s first minivan to earn a ‘Best of’ Award) and last year’s win as ‘Family Car of the Year,’ the Pacifica continues to cement its status as one of the best in its segment. All vehicles chosen by Cars.com excel in the following three categories: quality, innovation, and value. 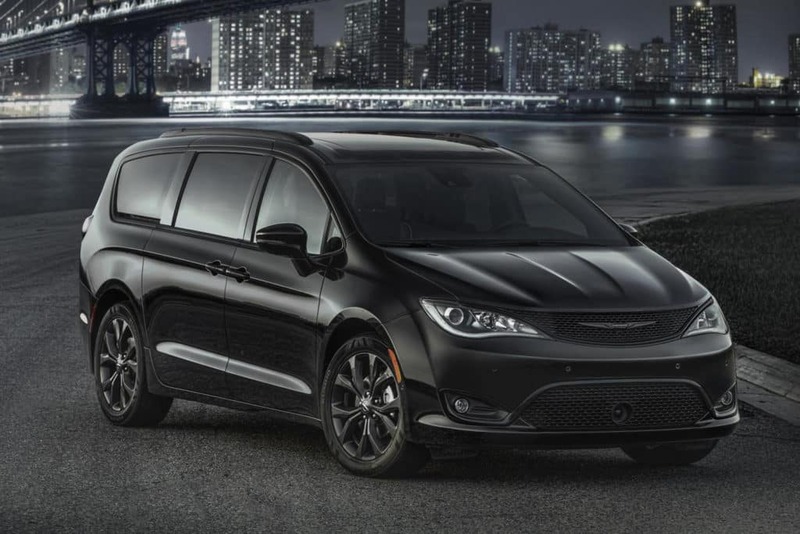 Both the Chrysler Pacifica and Chrysler Pacifica Hybrid are credited with re-inventing the minivan segment thanks to their unprecedented levels of functionality, versatility, technology, and bold styling. Revamped from the ground up on an all-new platform, the Pacifica delivers class-leading powertrains to the minivan segment – both gasoline and hybrid. As for the Pacifica Hybrid, it’s the first in its segment to offer a hybrid powertrain and achieves more than 80 miles per gallon equivalent in electric-only mode. Additionally, the Pacifica Hybrid has a combined total range of more than 500 miles and offers more than 30 miles in all-electric range. Offering more than 100 available safety and security features, a Uconnect infotainment system complete with an available theater as part of the rear-seat entertainment package, available 4G Wi-Fi and a full array of comfort and convenience technologies, the Chrysler Pacifica and Pacifica Hybrid go above and beyond as family-haulers. These no-compromise minivans are ideally suited for today’s families and have earned their spots as the most awarded minivans of the year so far. Historically, minivans are considered to be unexciting and merely valued for their spacious interiors, but these minivans are no sleepers. Bold styling, advanced technology, and versatility go a long way in making the Pacifica and Pacifica Hybrid a success. Visit Hollywood Chrysler Jeep to experience the 2019 Chrysler Pacifica for yourself. Browse our online Pacifica inventory, and if you’re feeling adventurous check out the Pacifica Hybrid as well. Schedule your test drive today and see for yourself what all the hype is about!